What if millions of fireflies lit up the world? 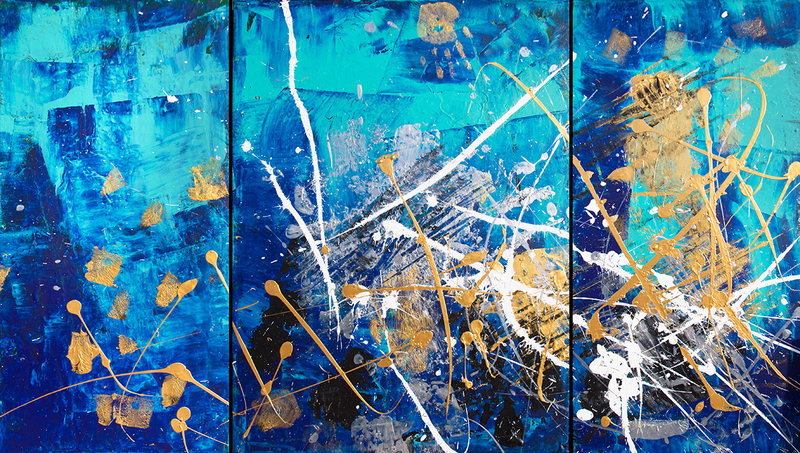 Advait, in an answer to his own question, he tried a painted his vision into a triptych. A swarm of fireflies has emanated from the twilight. It moves spontaneously and creates a whizzing and a luminous effect.